Everything you thought you knew about solar water and solar space heating is now obsolete! 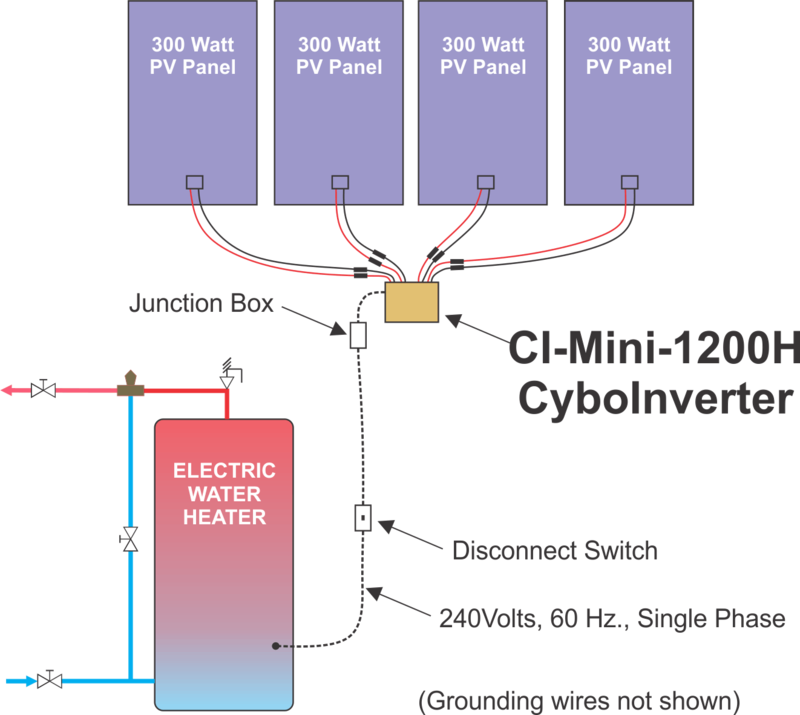 Introducing the CyboInverter 1200H from Solar PV Heat - Quiet - Cheaper - Better. No messy heat transfer fluids, no pumps, no heat exchangers, no maintenance - no problems! Solar heating without pipes to the roof! 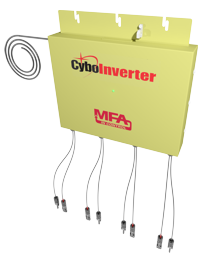 Solar Ontario introduces the CyboInverter 1200H. A technology that will completely redefine how you think of solar hot water systems. No more glycol heat-transfer fluids, no pumps or heat exchangers, no pressure testing, system flushing, air purging, glycol changing, overheating, freeze protection, backflow prevention, leaking, venting or any of the many problems associated with regular - hydronic - solar heating systems. Just four PV panels, one inverter and a wire - with a disconnect - to an electical element..